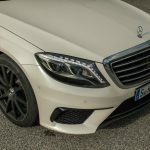 A few months after the launch of the new Mercedes S-Class it is AMG’s turn to show their first take on the Mercedes flagship with the 2014 Mercedes S63 AMG. 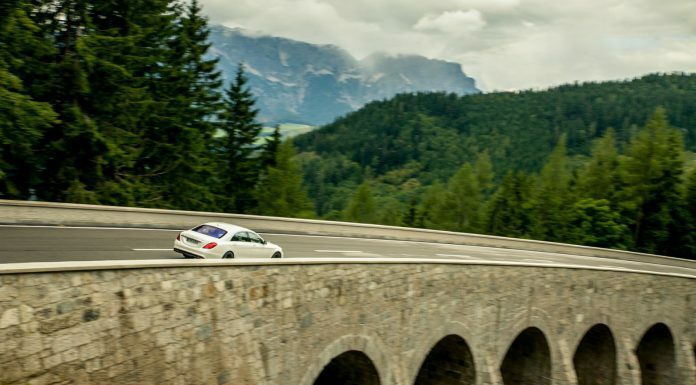 We went to Austria to see what it is like to drive and fire some questions at the AMG engineers! 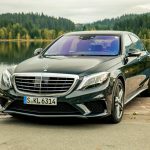 In a nutshell the 2014 Mercedes S63 AMG is the most powerful S-Class you can buy today with AMG’s own 5.5 liter V8 Biturbo engine. It sets new benchmarks for performance in this segment with a 0-100 km/h time of just 4.0 seconds. Extensive weight saving over the previous model dropped the kerb weight below 2,000 kilogram. 0.4 litres per 100 kilometres lower than that of the preceding model, even though the engine output has been increased by 41 hp. The range-topping eight-cylinder model already meets the requirements of the EU6 emissions standard, which is due to come into force in 2015. 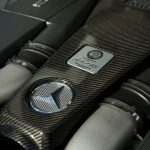 As already mentioned this is AMG’s own engine and not a turbocharged bored out version of the V8 found in the Mercedes S500. 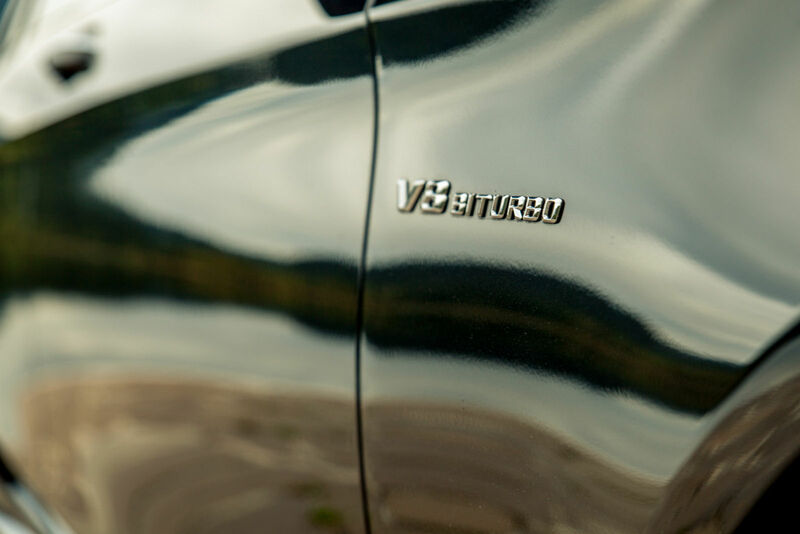 Like all AMG V8 and V12 engines, the eight-cylinder biturbo engine for the 2014 Mercedes S63 AMG is assembled by hand in the hand-finishing section at AMG. Highly qualified engine fitters assemble the M157 in Affalterbach according to the “one man, one engine” philosophy. 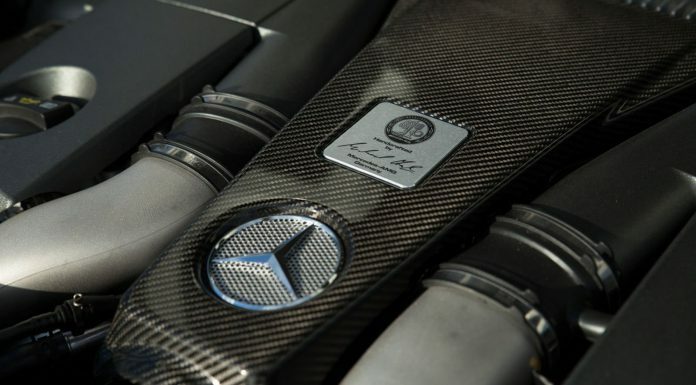 The AMG engine plate bears the engine technician’s signature as an attest to the peerless DNA of Mercedes-Benz’s high-performance brand. 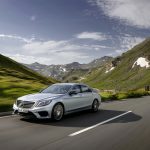 Systematic implementation of the AMG Lightweight Performance strategy reduces the weight of the S 63 AMG by up to 100 kilograms compared to the predecessor model. 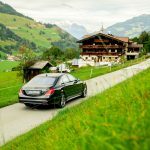 This weight saving was achieved largely thanks to the use of a lightweight lithium-ion battery, AMG forged light-alloy wheels, and a weight-optimised AMG high-performance composite braking system. 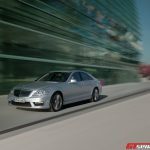 Furthermore, the entire outer skin of the S-Class, including the roof and the front end of the body, is made of aluminium. Installing a spare wheel recess made of carbon-fibre reduces the weight by a further four kilograms. The weight saving paired with the powerful 5.5 liter V8 engine that delivers 585hp and 900Nm of torque lifts the performance figures for this über-Mercedes to new heights. 0-100 km/h is done in 4.0 seconds, the top speed is limited to 250 km/h but if this restriction was not there it would be capable of breaching the 300 km/h mark with ease. 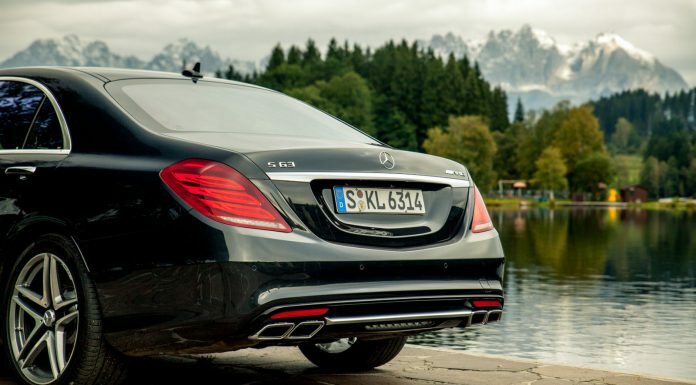 The Mercedes S63 AMG also has a very impressive power-to-weight ratio of 3.37 kg/hp. 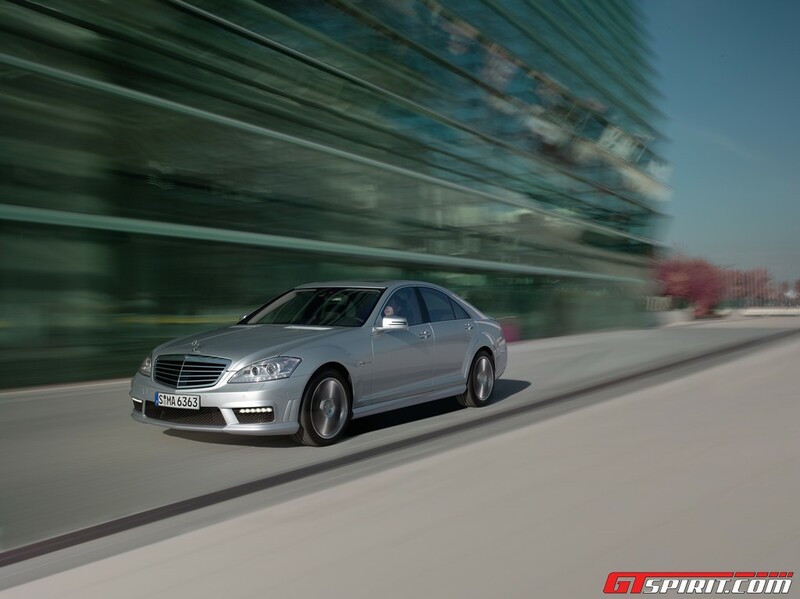 The 2014 Mercedes S63 AMG comes with the AMG Speedshift MCT 7-speed sports transmission. The three transmission modes; Controlled Efficiency, Sport and Manual, provide the driver with a personal transmission setup. In comfort-oriented “C” mode the gearbox shifts up early to achieve better fuel economy and guarantee a fluent ride. In the “S” and “M” transmission modes the engine and transmission are significantly more agile and the ECO start/stop function is deactivated. A brief and precisely defined retardation of ignition and injection under open throttle results in even faster and acoustically more emotional gearshifts. 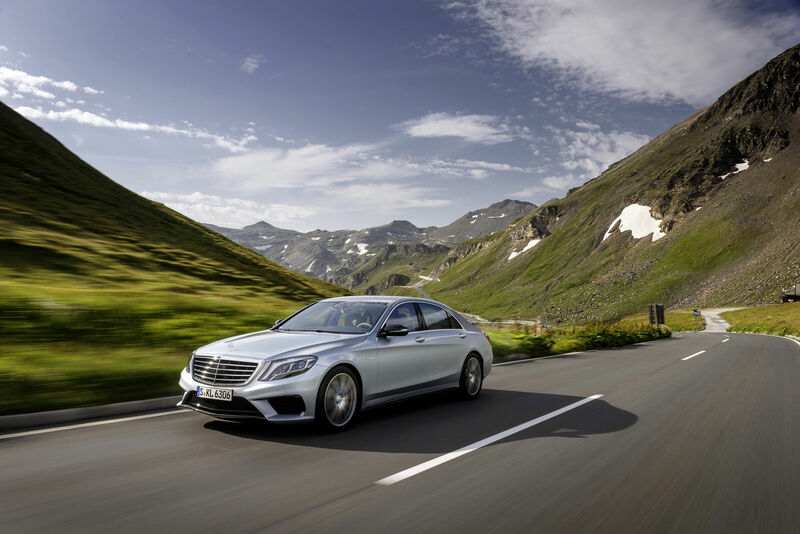 All long-wheel base S63 AMGs come with AWD as standard, on RWD S63 AMGs the 4Matic system is an optional extra. The performance-oriented AMG 4matic all-wheel drive distributes the engine torque to send 33 percent to the front axle and 67 percent to the rear axle. 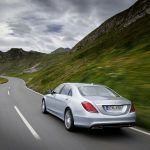 The rear-biased power distribution provides the signature AMG high driving dynamics and superlative driving enjoyment as well as boosting acceleration from a standing start. The all-wheel drive also enhances driving safety on wet or wintry road surfaces. Optimum traction is guaranteed by a multi-disc clutch with a locking effect of 50 newton metres, which exploits the frictional connection potential of all four wheels to the full on snow and ice in particular. The technical basis for the AMG 4MATIC all-wheel drive system is a transfer case for the additional power take-off to the driven front axle. This requires no additional installation space, as it is integrated compactly into the AMG Speedshift MCT 7-speed sports transmission. The torque is transmitted from the power take-off via a propeller shaft to the front axle. Power transmission from the front axle differential to the front-left drive shaft is effected via an intermediate shaft which passes through an encapsulated shaft duct in the engine oil pan. The compact and weight-optimized design results in a comparatively low level of additional weight for the all-wheel drive system of only 70 kilograms, which also helps to reduce fuel consumption and exhaust emissions. 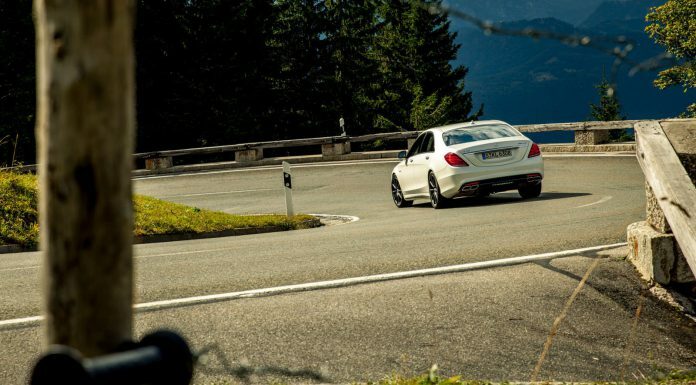 All variants of the S 63 AMG are fitted with ESP® Curve Dynamic Assist as standard. Targeted braking intervention at the inside rear wheel results in defined cornering of the vehicle and ensures greater agility when taking corners at high speed. This equivalent of torque vectoring takes away (most) understeer when turning into corners. 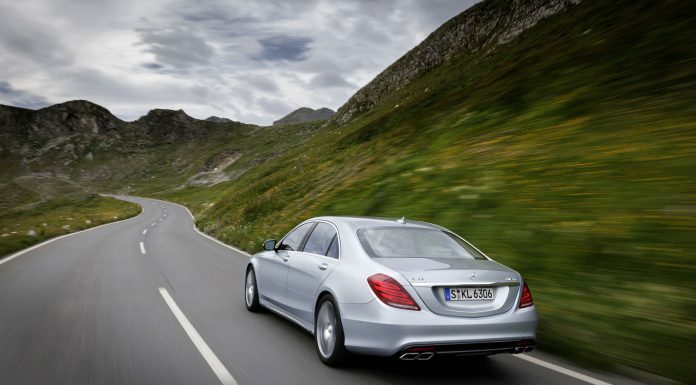 Mercedes recently launched a new 9-speed gearbox for the Mercedes S-Class. We were hoping this new 9-Speed or another double-clutch gearbox would make its way into the S63 AMG at some point. 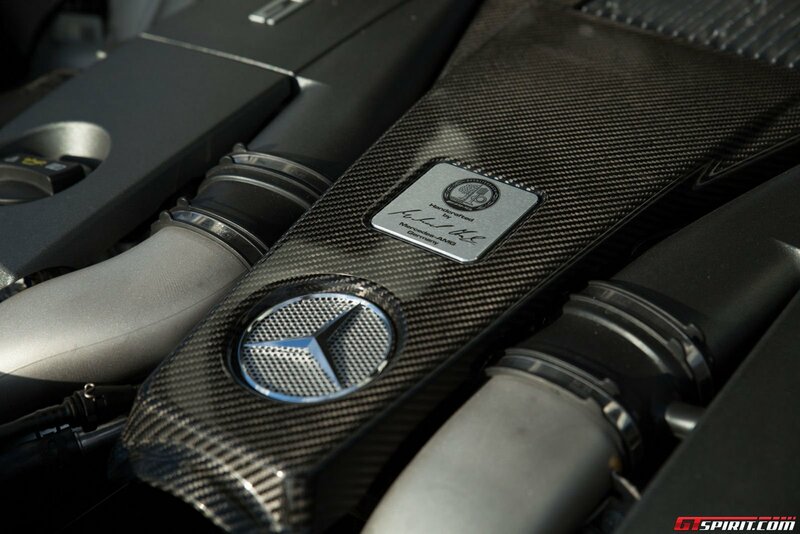 But AMG engineers told us that it is currently unlikely. 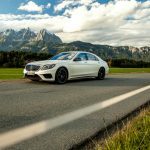 The new Mercedes 9-Speed gearbox is not capable of handling the insane torque of the AMG engine and the development of a completely new AMG gearbox is to expensive to happen in the short term. A shame as the gearbox is one of very few points for improvement we found in our time with the S63 AMG. The suspension options put is for a bit of a dilemma, in our favorite specification (long-wheel base with 4Matic) the excellent Magic Body Control suspension system is not availalbe due to space restrictions with the 4Matic. 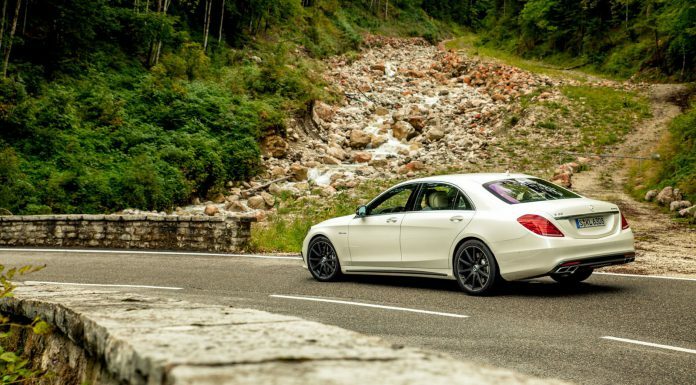 So if you want to have the extremely smooth ride that we experienced on the 2014 Mercedes S500 in combination with the AMG power you can only chose the S63 AMG in short with rear-wheel drive. 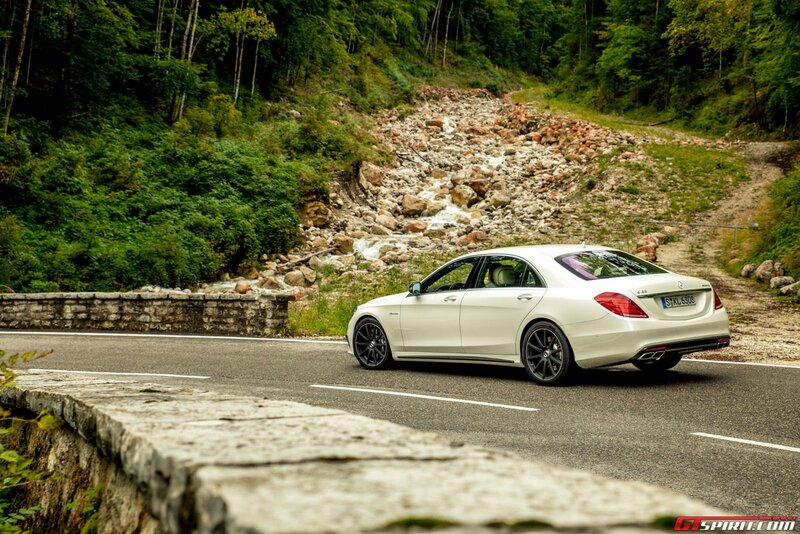 The LWB S63 AMG comes with the AMG Sports Suspension and Airmatic air suspension. Not a bad setup at all but not as out-of-this-world as the Magic Body Control. The full air suspension system Airmatic is equipped with the Adaptive Damping System ADS PLUS. One new feature is the continuous damping adjustment, which can be controlled independently in the compression stage and rebound stage. It allows better adaptation to the driving and road-surface conditions. 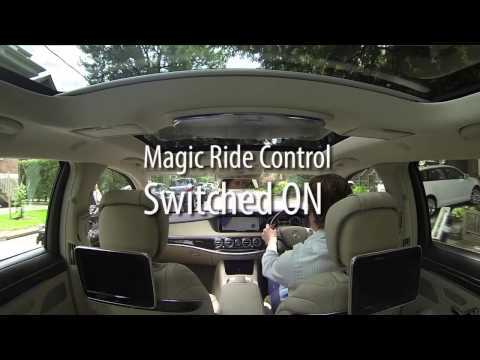 Comfort and Sport suspension modes can be selected at the push of a button. 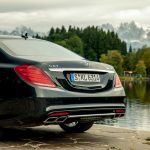 Specific front axle kinematics – including higher camber, a larger anti-roll bar and a stiffer subframe carrier on the rear axle – have been developed exclusively for the S 63 AMG 4MATIC. These measures optimize the vehicle’s agility when driving dynamically. 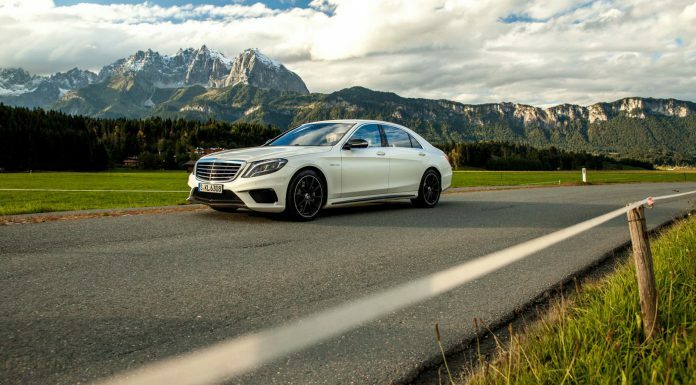 The S63 AMG with rear-wheel drive features AMG sports suspension based on Magic Body Control. 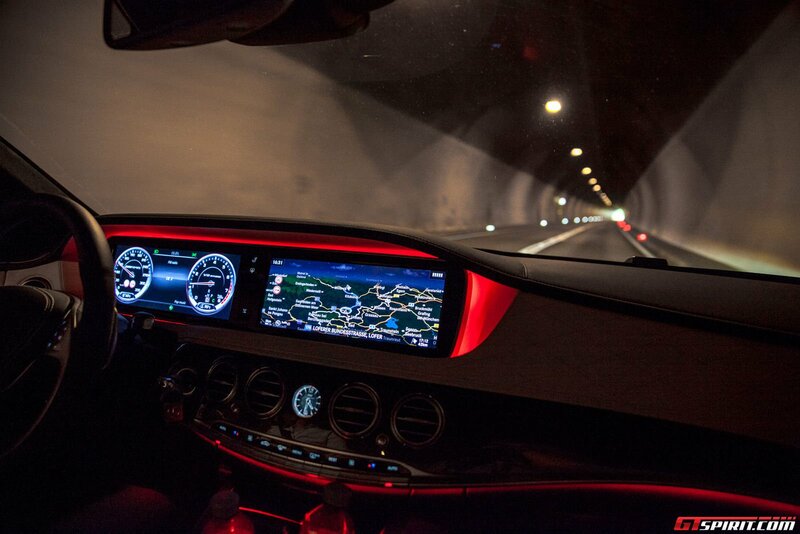 The new S-Class is the first car in the world able to recognise road surface undulations in advance. If the road surface scan detects such undulations with the help of the stereo camera, Magic Body Control adjusts the suspension in advance to suit the situation (also see the video above). 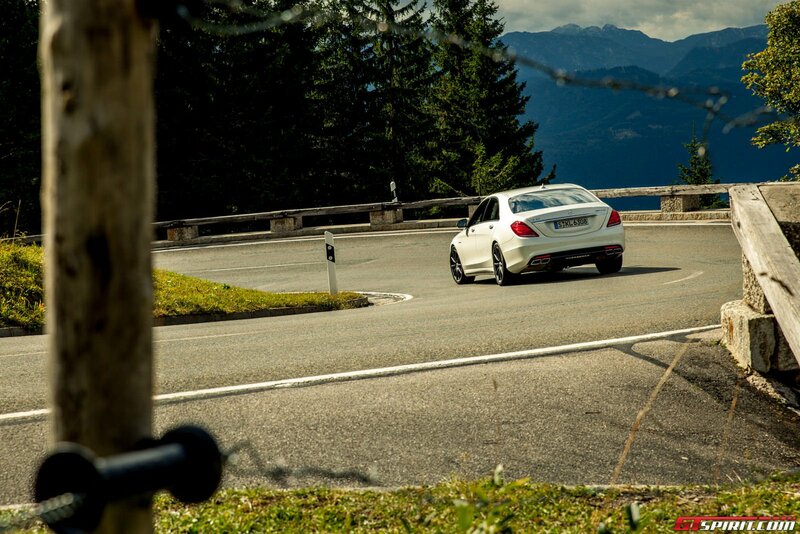 The AMG-specific elastokinematics ensure more directness when driving dynamically. 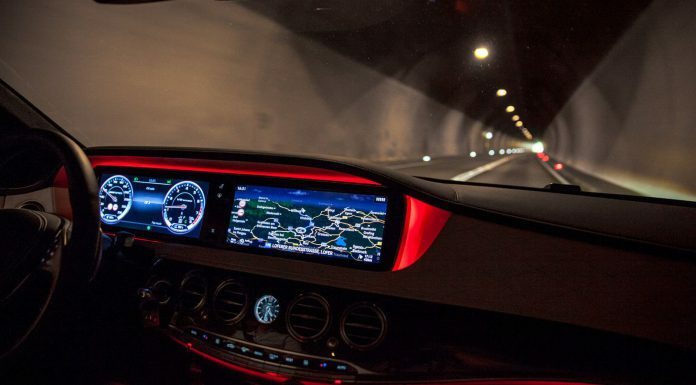 Inside the team AMG enhanced the impressive and pleasant interior of the new S-Class further. 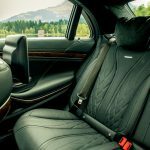 The newly developed AMG sports seats with electrical adjustment, Memory function and seat heating offer the driver and front passenger more lateral support. Fine nappa leather in AMG V8 design with AMG badges in the front seat backrests creates an exquisite and luxurious atmosphere on board. Special touches include the embossed emblem on the armrest of the front centre console and the high-quality analogue clock in an exclusive IWC design, which for the first time features three-dimensional, milled metal hands and metal appliqués on the dial. 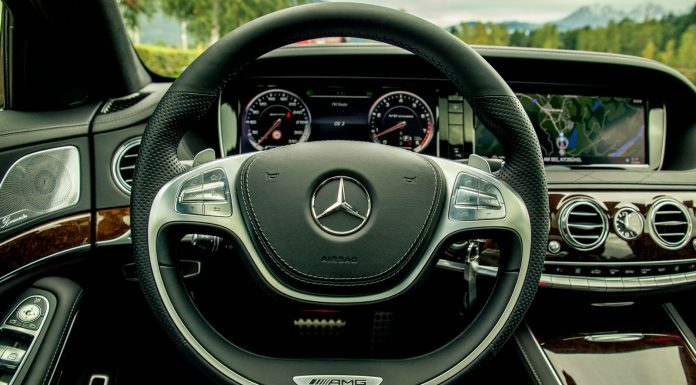 The AMG sports steering wheel with its distinctively contoured rim, perforated leather in the grip area and aluminium shift paddles offer plenty of grip and vehicle control. The interior has further been decorated with various AMG signs and logos from dials to floor mats and door stills. 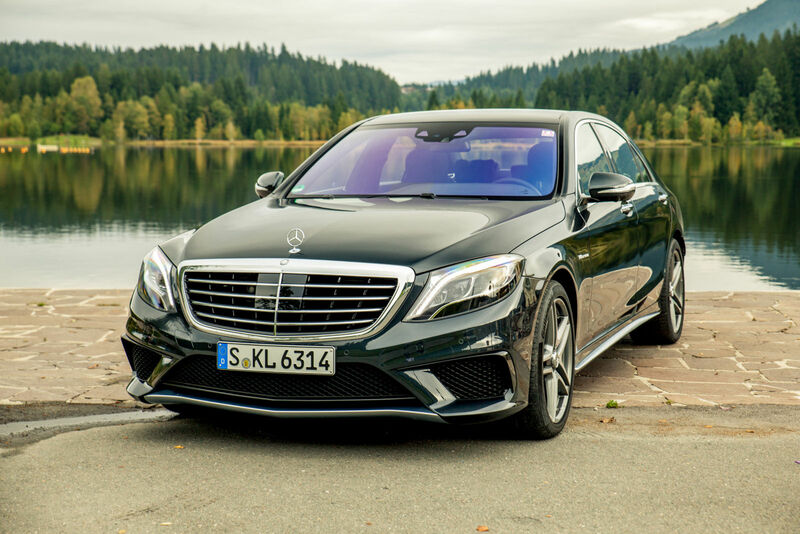 The 2014 Mercedes S63 AMG’s design is defined by the impressive blend of hallmark Mercedes sensual forms, classic architecture and a sleek silhouette with classic AMG design features. 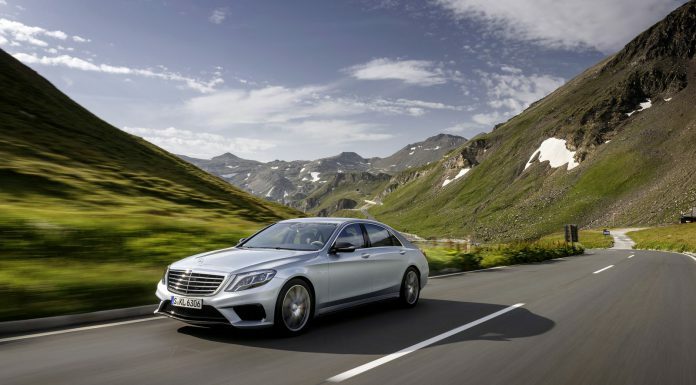 A large, upright and distinctly three-dimensional radiator grille underlines the special status of the S-Class – with an exciting contrast to this being provided by the front apron with its three large cooling air intakes. 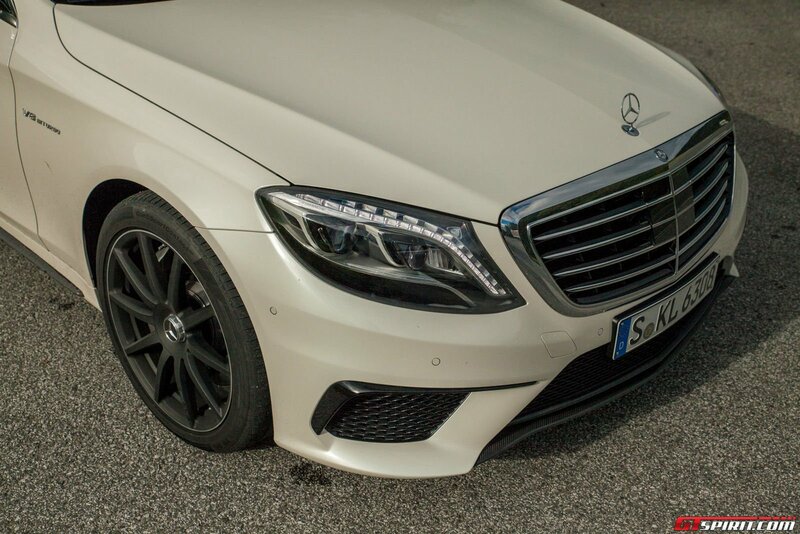 The front apron with grilles painted in high-gloss black displays the stylised “A” that is a hallmark of AMG vehicles, and emphasises the exclusivity and power of the 2014 Mercedes S63 AMG. 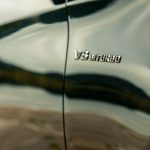 Side sill panels with three-dimensional inserts in silver chrome make the vehicle appear closer to the road and create dynamism along the flanks with the “Dropping Line” that is so typical of the brand. 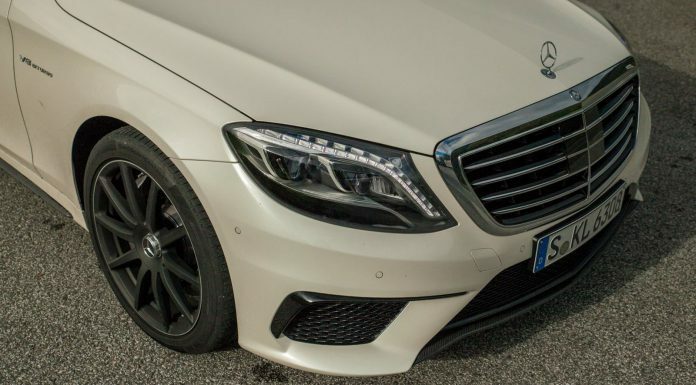 The Mercedes S63 AMG comes with large light-alloy wheels. The design is drawn to a powerful conclusion by the black diffuser insert with trim in silver chrome and the two chromed twin tailpipes of the AMG sports exhaust system with exhaust flaps. 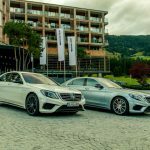 For our first driving experience with the 2014 Mercedes S63 AMG we drove out to Salzburg where a brand new white S63 AMG was waiting for us. 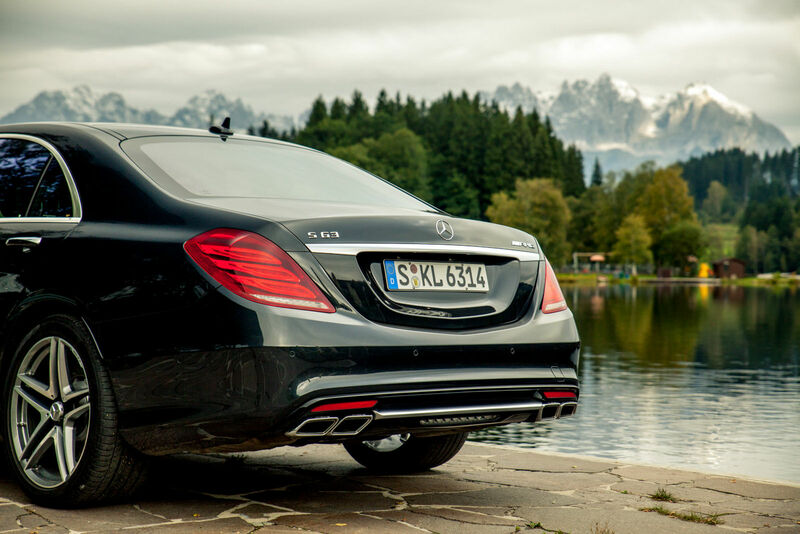 Our particular S63 AMG was a long-wheel base version with Airmatic suspension and 4matic all-wheel drive. 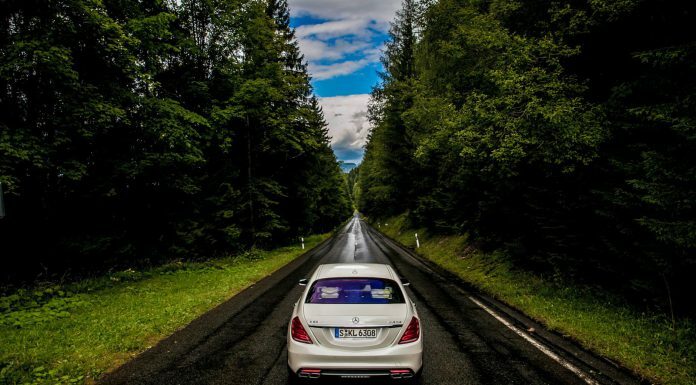 Mercedes prepared a route over the German autobahn to a lunch location somewhere in the German Alps but since we are not a big fan of the narrow and busy autobahn between Salzburg in Austria and Rosenheim in Germany we left the route for what it is and headed in a different direction. We decided to head straight into Germany and in the direction of our evening checkpoint in the Austrian ski resort of Kitzbuhel. 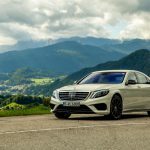 Three months after our road test with the 2014 Mercedes S500, it is very pleasant to be back in the new Mercedes S-Class. The seats are probably among the most comfortable in the world and with a relaxing massage activated we cross the border into Germany. A few traffic lights allow us to test the acceleration and grip of the 4matic on the damp roads. 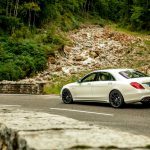 In the S500 it was very easy to spin the rear tires under heavy acceleration, but the S63 AMG, despite its 130hp more and thanks to the 4matic that sends 33% to the front and 67% of the power to the rear, grips perfectly and rockets to the 100 km/h in no time. 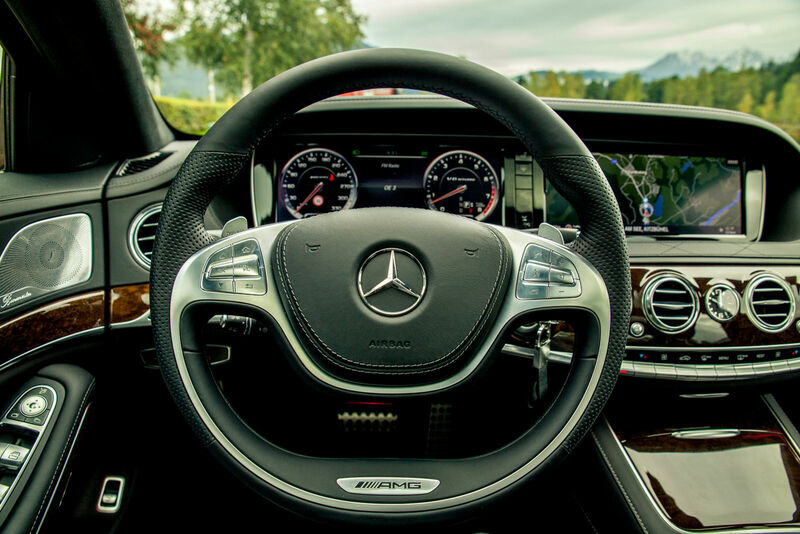 The S63 AMG has three settings for the gearbox that also affect the sound it produces: Comfort, Sport and Manual. In Comfort the flaps in the exhaust stay closed mostly reducing the sound produced, it shifts up early and smooth to make the ride as comfortable as possible. In Sport the flaps in the exhaust stay open and the gearbox shifts up later and holds the gears longer, the 7-speed AMG gearbox still shifts fairly smooth and quick. 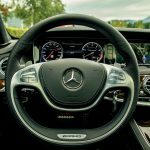 In Manual we can shift ourselves with the paddles behind the steering wheel but in this mode the gearbox shows some of its weaknesses, its not as fast as a double-clutch gearbox or the ZF 8-speed we experienced in various other performance cars recently. However for sportier drivers AMG’s own gearbox is still a big step forward from the standard 7-speed Mercedes gearbox we tested in the S500. We leave the main road in the valley behind is and turn off towards the Rossfeld Panoramastreet. The Roßfeldpanoramastraße was built between 1937 and 1940 as Eastern extension of the German Alps Motorway by the government agency ‘Deutsche Alpenstrasse’ (German Alps Motorway). The project was proposed for the first time in 1927 as an opportunity to bring more tourists to the area. The Roßfeldpanoramastraße is a toll road that climbs to 1,570 meter and is right on the border between Germany and Austria offering stunning views over both Austria and the mountain peaks in this area of the German Alps. The road leading up to the toll station in Oberau alone is already worth the visit. 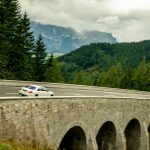 Stunning views over the valley of Berchtesgaden and amazing roads with long sweeping bends and straights through the forrest. 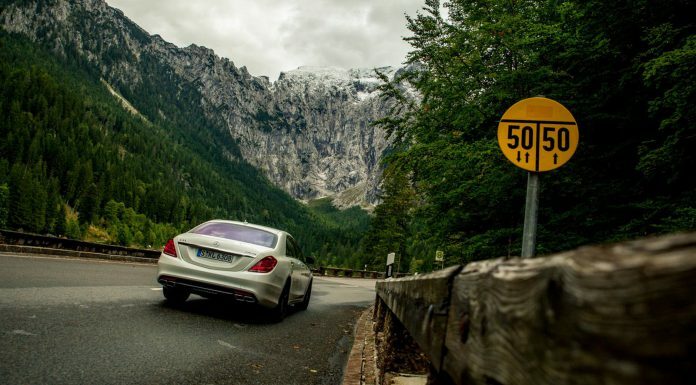 The ideal place for us to put the S63 AMG to the test. 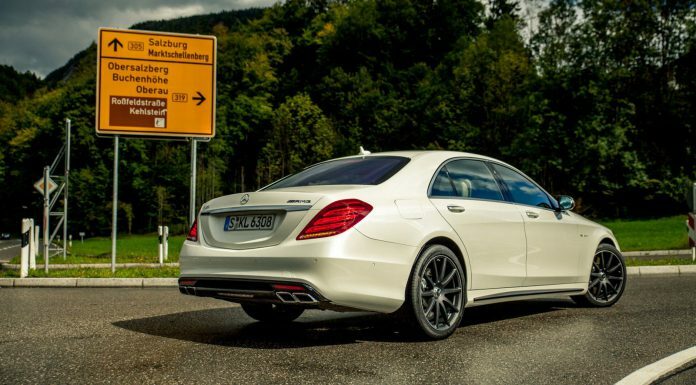 With 1,995 kg the S63 AMG is lighter than its predecessor but still not a light car. 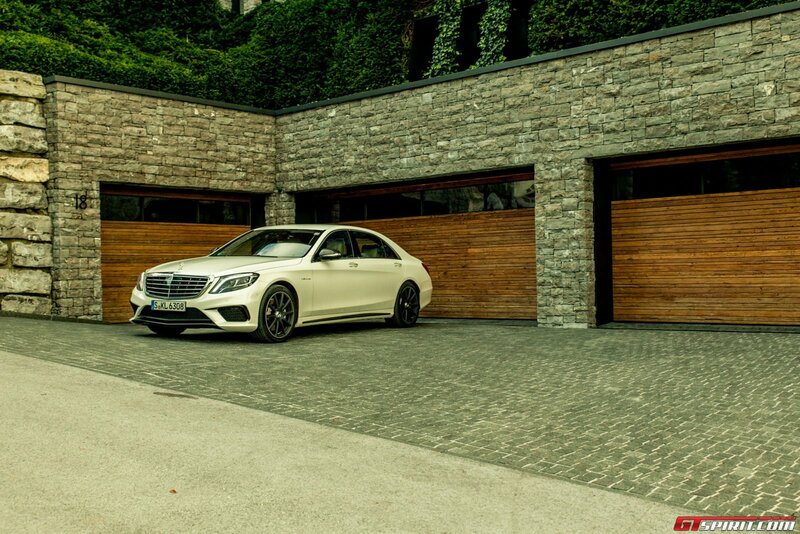 Despite the weight and sheer size of the LWB S63 AMG it corners very well and there is very little body roll. Soon we arrived at the toll station to enter the Rossfeldpanoramastrasse. We paid 7 euro for a car and two people which soon turned out to be worth every penny. The road has recently been resurfaced and because its a toll road that has no use for transit traffic there is nobody on this cloudy Thursday. 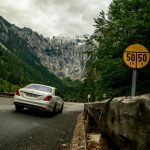 We steer the S63 AMG to the top in the various gearbox and suspension modes (comfort vs sport) and enjoy the tunes of the V8 BiTurbo that echoes between the mountain and the trees. Whenever we stop the white / black S63 AMG draws plenty of attention and several people come over to ask questions about the new S63 AMG. We continue down the other side enjoying some of the most spectacular views this part of the Alps has to offer. If you are ever down in Southern Germany make sure to drive this Rossfeldpanoramastrasse! 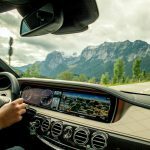 Back in the valley we steer onto the main road and retest some of the features we already experienced on the S500 a few months ago. First is the adaptive cruise control with steering assist. 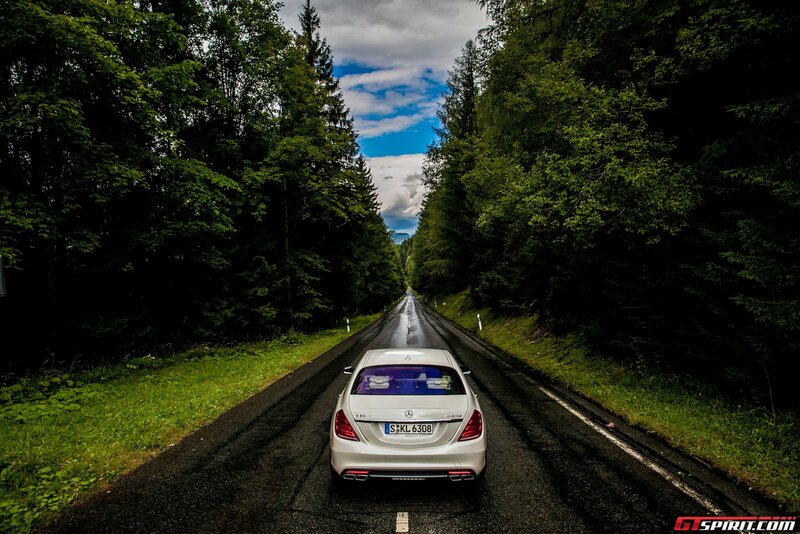 Set a speed and desired distance to the car in front and the car will do the rest. Even in corners the car will drive pretty much autonomous, it brakes when the car in front of your brakes, it steers to keep you in your lane (also in corners!). Very impressive and it works near flawless. Only in cities it might overlook a curb or two. So you have to stay alert and cannot lean back to read the paper while the car navigates the traffic for you (just yet)! We continue our route to Kitzbühel and as we are approaching the town we are finally greeted by a bit of sunshine. 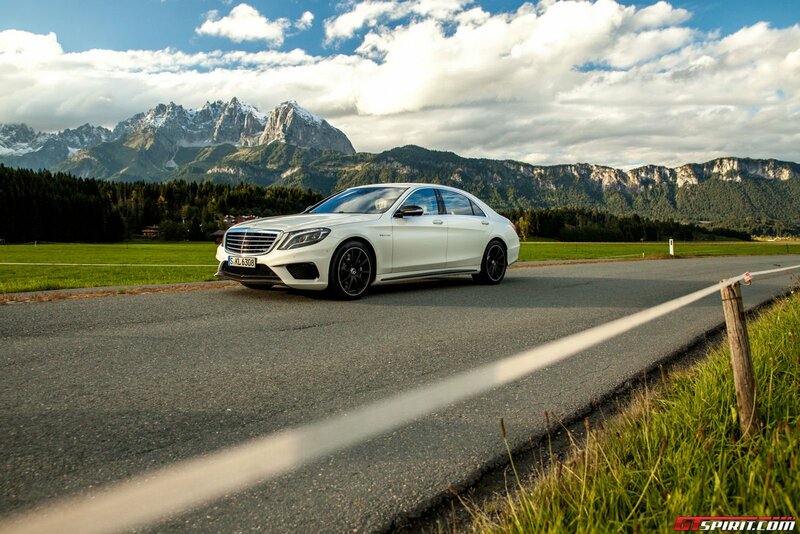 We snap a few more photos of ‘our’ S63 AMG just before the sun disappears behind the mountains. The last stretch to the hotel we are stuck in traffic but despite the monstrous 585hp and 900Nm of torque crying to be unleashed this is not a punishment at all. With yet another massage mode activate we arrive totally relaxed at our hotel for the night. The next day another Mercedes S63 AMG is waiting for us, a black one this time. With the signature AMG wheels it looks very masculine and we could see this as a company daily driver. In black it doesn’t draw as much attention as the white one we drove before, it is very sophisticated. Only when you switch it to Sport mode and put your foot down people will notice it and turn their heads. 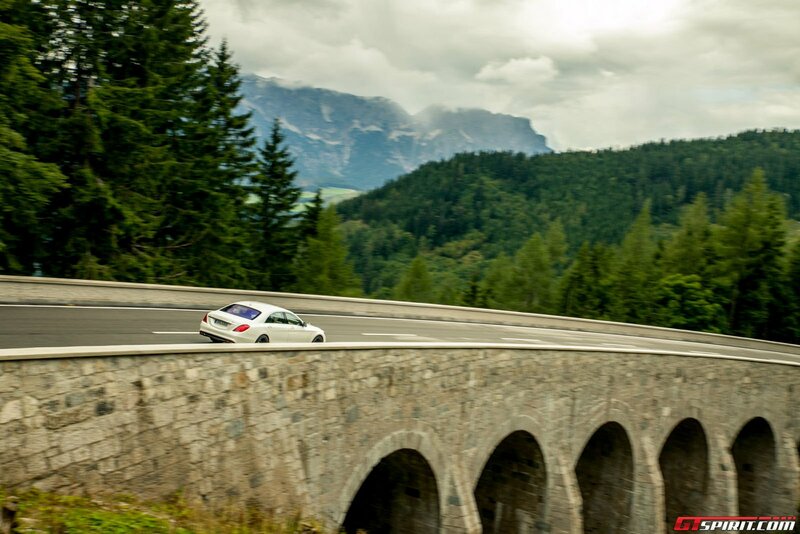 Today our journey goes back to Salzburg with a small stretch of autobahn, the last opportunity to put the S63 AMG to the test! We are lucky as there is clear stretch with little traffic, we put our foot down with the gearbox set to Sport and the car effortlessly reaches 230 km/h. It is not just the sheer acceleration that impressed us here but also the braking, considering the LWB with two people and luggage weighs over 2,200 kg. The finish of our journey is in the center of Salzburg. 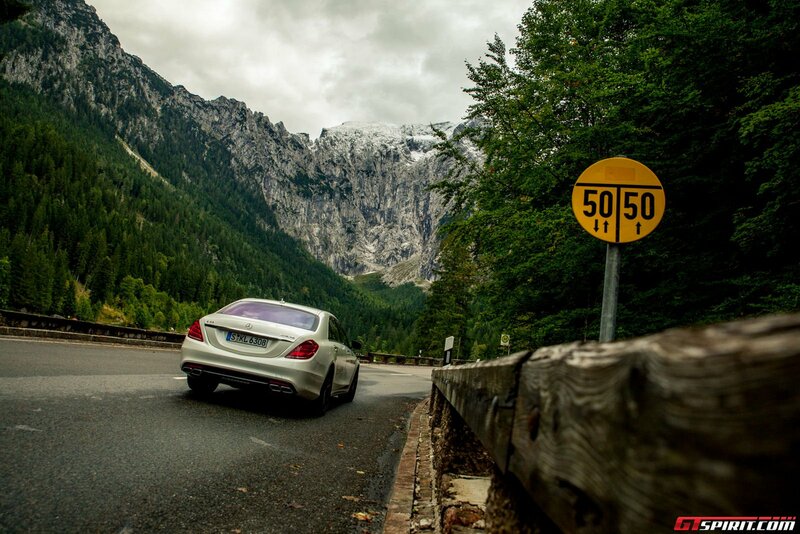 The narrow and busy streets leading in to the old town of Salzburg make us realize the LWB S-Class does not feel as long and large as it is. Its steering is very light and easy in town without losing feel or precision at higher speeds. With a smile on our faces we hand the car back to AMG. 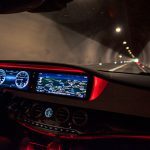 Distronic Plus: Adaptive Cruise Control with Stop&Go Pilot, really a must have! Seat Comfort Package: Includes the six different massage functions for driver and passenger. Seat cooling: Our favorite feature to cool us down on hot summer days. 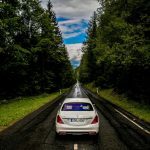 360 Degree Camera: Not just a cool gadget but also extremely helpful to park the LWB S63 AMG in tight space or to prevent you or your driver from curbing the wheels. 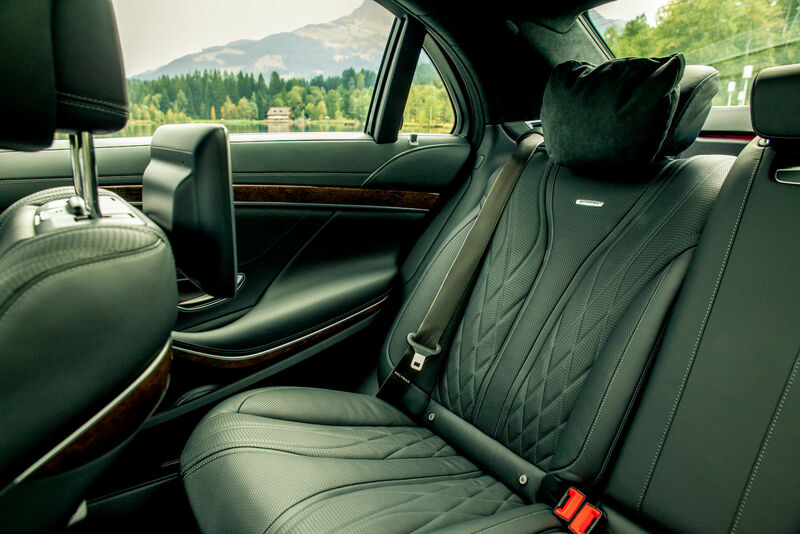 First Class Seats Rear: If you plan to spend some time in the back of your S63 AMG, consider these seats! We haven’t come across more comfortable seats in a car than these. Burmester Sound System: If you love music you want this! Among the best sound systems any car can have. 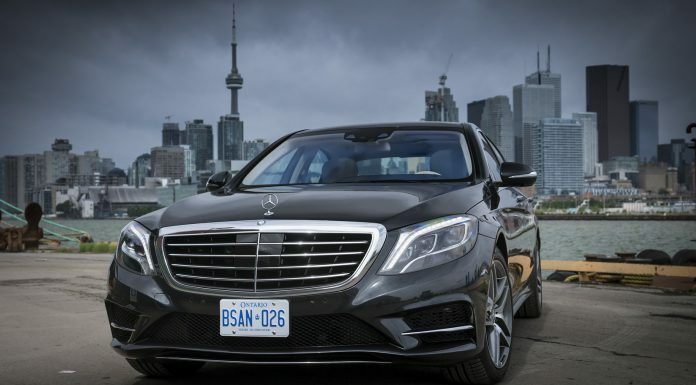 How does it compare to the Mercedes S500? 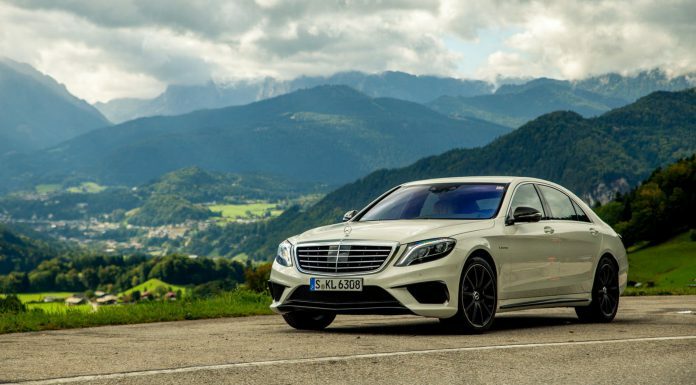 In a lot of ways the S63 AMG is just like the S500, it offers similar high levels of comfort and safety and you will want to keep it after you take it for a test drive. 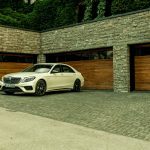 But the S63 AMG offers more, where the S500 soon reached the limits of its sportiness the AMG keeps going, it is much faster in both a straight line as around corners. 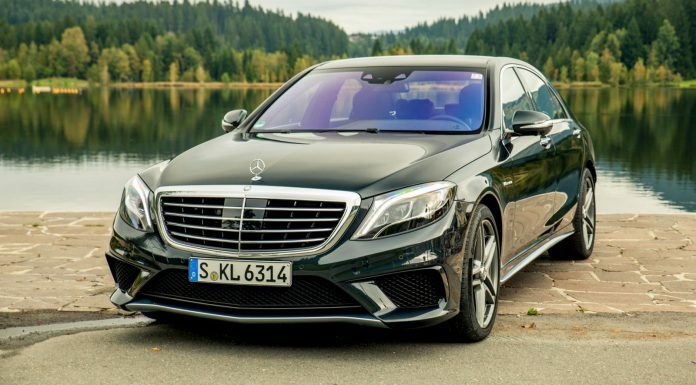 The S63 AMG produces 130hp and 200Nm of torque more than the S500. 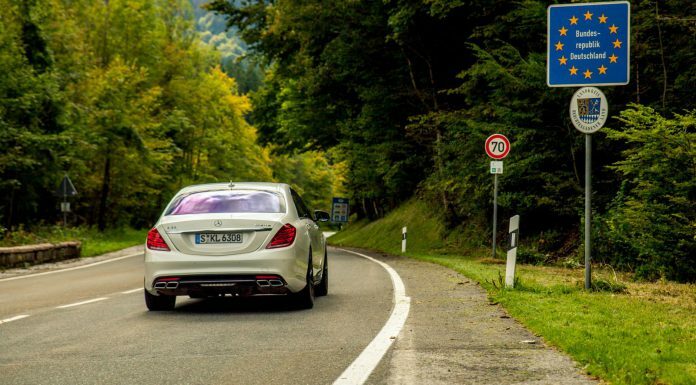 Its sprint to 100 km/h with 4Matic is 0,8 seconds faster than the S500. Besides straight line performance its also the cornering, braking and sound that sets the S63 AMG clearly apart from the S500. 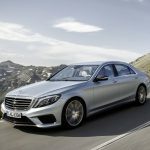 How does it compare to the previous generation Mercedes S63 AMG? 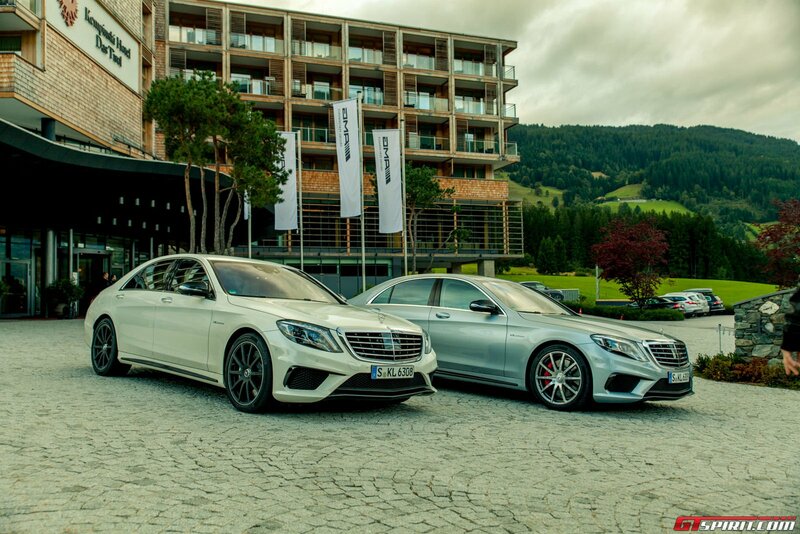 Besides its updated design and interior the new S63 AMG is 100 kg lighter as the old one. It also has 41hp and 100Nm more and uses 0.4 liter per 100 kilometers less fuel. 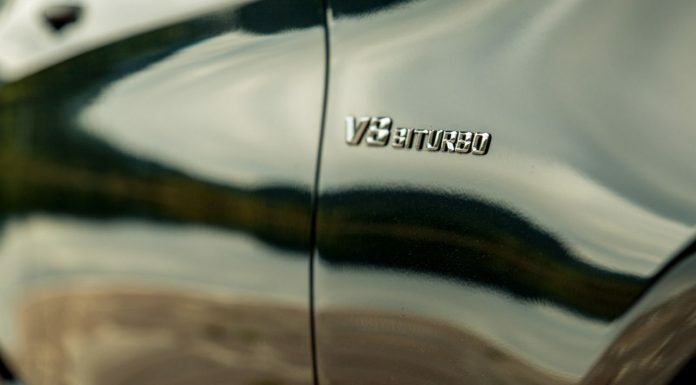 Altogether a big step forward for the V8 S-Class flagship. 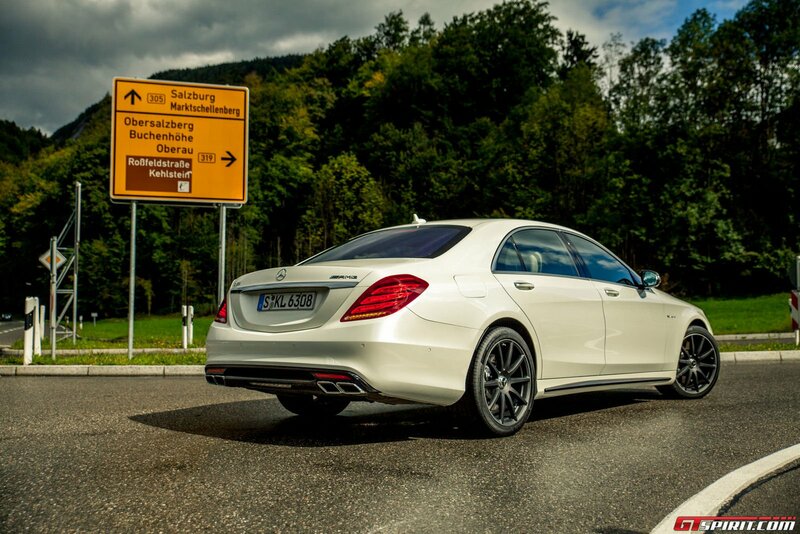 Now we only have to wait and see how it compares to the V12 S65 AMG top of the range model. 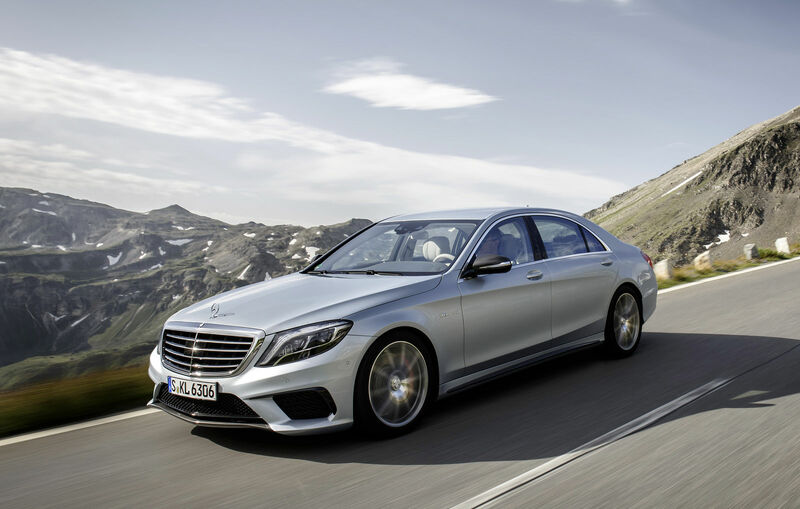 The 2014 Mercedes S63 AMG has direct competitors in the Audi S8, BMW 760Li and Jaguar XJR. 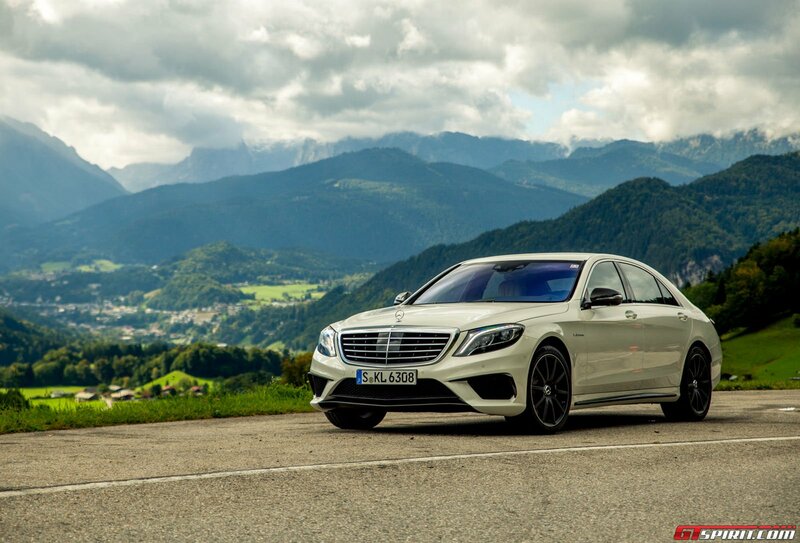 In terms of comfort and performance the Mercedes S63 AMG set a new benchmark at the moment. Audi will launch the 2014 version of their S8 next month which might bring it a step closer to the S again. In terms of design and appeal the new S-Class is a big step forward over the old one. It has more presence and slicker looks which might appeal to another type of customer, a customer that might look at buying a Rolls-Royce Ghost. The only real weakness of the S63 AMG is the gearbox in manual mode. But how important is this superb manual shifting experience in this segment of high-end limousines really? 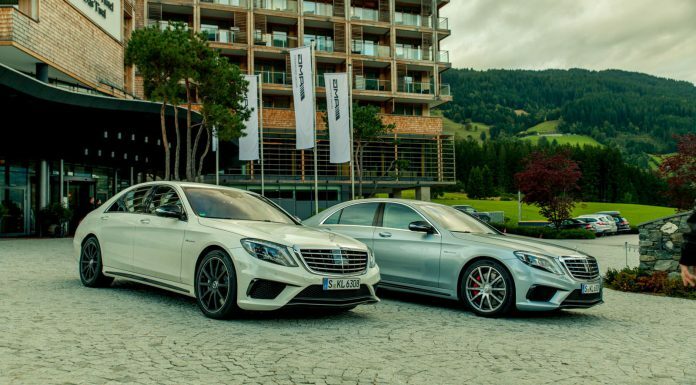 The S63 AMG takes the new Mercedes S-Class to the next level. 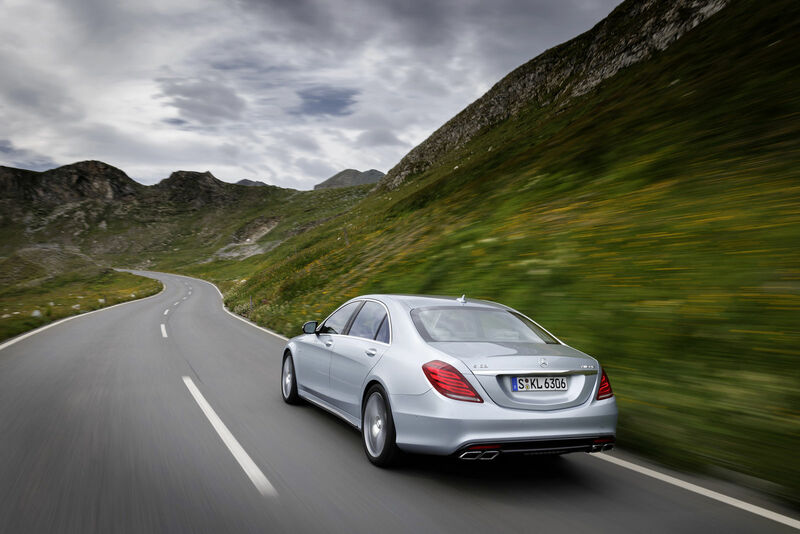 It combines the S-Class comfort, safety and class with AMG performance setting a new benchmark in the segment!